Hello, and welcome to Key To Fashion! 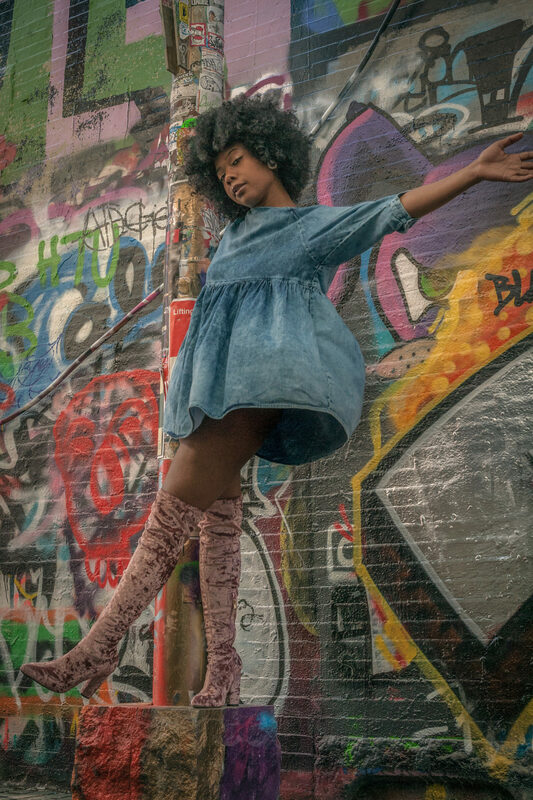 My name is Keyana Michel, also known as Key, and I’m a fashion fanatic, an expressive creative, and a dynamic woman, hailing from Boston, Massachusetts! It was in my freshman year of High School, when I️ first took the leap of faith of finding my own personal style. Similar to many “fresh meat” tales, I started out highschool defining myself as a follower. By simply imitating all the latest styles and trends, that I would see the majority of my classmates wear. Despite my desperate efforts to fit in. Ironically, I felt lost in the clothes that I was wearing. Slowly, I began to abandon my “follower” style, and challenge myself to define my own. From that moment forward, my personal style transformed into a unique and very prominent aspect of my life. High School was a very insecure timeframe for me, but my personal style gave me the willpower to embrace my originality. And the confidence to express my personality, without even having to speak. My passion for the field of fashion grew immensely. And I started having frequent thoughts of going to fashion school for college. But being first generation American, fashion school & any pursuits in the field, were all quite far from being seen as a career choice in the eyes of my caribbean family. So I attended the University of Massachusetts Amherst, where I graduated with a BA in Psychology, and a minor in African American Studies. In college, my passion for fashion, and my personal style never left me. But it was certainly tested. At the time, I was a broke college student, residing in the boonies of Amherst, Massachusetts. Limited to where I could shop, and what I could buy. It wasn’t until one day, where a friend of mines encouraged me to check out the local Salvation Army Thrift Store. To be frank, because of the negative preconceived notions that I had heard about thrifting. I was personally really hesitate to go. But I allowed my open-mindedness to lead the way. And I’m glad I did, because from that moment forward, I became a frequent thrift shopper. Thrifting in college not only preserved my pockets, and added statement pieces to my wardrobe. But I loved the fact that I was saving more money, and getting unique and stylish pieces, for less! The support of individuality, affordability, and the treasure hunt feel of going into a store, and not knowing what you may find. Overtime, my interest for resale fashion grew immensely! I have shopped and visited several stores in Boston, New York, California, Canada, Minnesota, D.C. and London. Those experiences allowed me to learn more about the diverse store concepts within the resale fashion realm! From them on, I strived to gain opportunities that would support me learning more about the Resale Fashion Industry. During that timeframe, I had already had a good amount of mainstream fashion experience under my belt. I worked at various retail stores, such as Urban Outfitters, Forever 21 & TJ Maxx. In college, I hosted the pre-show for the university’s Annual Fashion Show. And I also interned for two fashion company’s, The Newmark Showroom In New York, and Karmaloop in Boston. But other than thrifting, I had no experience with resale fashion whatsoever. In 2017, I attended the Narts Conference, in Minneapolis Minnesota, all by myself, simply because I was eager to learn. The NARTS Conference, is a nationwide conference for resale fashion business owners, gurus, and entrepreneurs. There I got the chance to learn extensively about the resale fashion industry. And meet and network with several phenomenal individuals in the field. From that experience I went on to work as a Resale Fashion Buyer for Plato’s Closet. A Buy, Sell, Trade Store that allowed customers to buy clothing, or sell their gently-used clothing for cash or store credit. But most people took the cash lol. There I got the opportunity to use my leadership skills, my creativity and my natural ability to connect with others. And in the short time I was there, I innovated several marketing tactics, that helped increase the inventory of the store. I educated customers on the store concept, and the store’s functionalities. Teaching them that they can not only buy clothing, but also sell clothing too. In hopes of helping to improve the financial status of the business. After leaving that experience, I decided it was time to immediately start my Fashion Blog. And that’s exactly what I did! My mission with Key To Fashion, is to inspire readers to discover, own, embrace and expand on their own personal styles. This is a site for the fashion lover, who is always trying to make a statement with their looks! And is always wants to feel good, and look good for less 👌🏿. This site for the fashion lover who is into resale fashion, or interested in learning more about it! This site is for the fashion lover who is tired of wearing what everyone else is wearing! Or wearing what everyone is wearing in the same way! This site is for the fashion lover who is ready to be less of a trend wearer, and more of a trendsetter! Here at Key To Fashion, I strive to educate viewers on ways that they can individualize their personal styles. And ultimately embrace who they are. I focus heavily on educating people on the world of thrifting and resale fashion, budget-friendly fashion, and sustainable fashion. There is a huge support for individuality and affordability that thrifting provides. As well as a unique shopping experience! And I want more people to learn all about it! Fashion is art, and I personally don’t think anyone needs to spend a lot of money to create the perfect look. Because the perfect look, comes from within. In addition, I focus heavily on four major themes which are: Style Confidence, Self-Awareness, Individuality & Self-Expression. I aspire to support viewers in building on these themes, because I believe these are the four key themes that anyone needs to obtain their own personal style. On the site, I share insight, style tips, fashion updates, videos & visuals, services, and the Key To Fashion shop! I strive to connect with with you. And to build a strong community amongst all my readers. I want to encourage you all to define your own “Keys To Fashion”, and to feel comfortable freely expressing them. Every time a viewer visits, and subscribes to my blog, I want them to leave with the feeling that they have learned something. Something that they can apply to their very own lives. As crazy as it may sound, my personal style is something that has served as a safe haven for me. It is a constant reminder to always stay true to myself. In a world where authenticity is running scarce. If it was up to me, I would want as many people in the world, to experience that same feeling. Because it’s liberating. And everyone deserves to feel free to express who they are. Everyone. To stay in touch, I encourage you all to subscribe below, and become apart of the community! I look forward to learning, growing, and connecting with you all! Welcome to Key to Fashion, and thanks for reading!